Wayne is a nationally awarded and recognized Designer of corporate office spaces, best known for his attention to the character, refined quality and long-term functionality of his work. As the former Design Director at PDR, Wayne Braun was responsible for advising clients and in-house teams on the architectural planning, furnishings, lighting and finishes of numerous projects. “Organizations are living organisms, they grow, shrink, change and evolve. My design solutions recognize and support workplace evolution while still creating a place that inspires, enhances and enriches the lives of those who use them. These places will naturally generate success and wellbeing for both the organization and their employees." Wayne is a nationally awarded and recognized Designer of corporate office spaces, best known for his attention to the character, refined quality and long-term functionality of his work. He has won local, regional and national recognition for his work throughout his career. 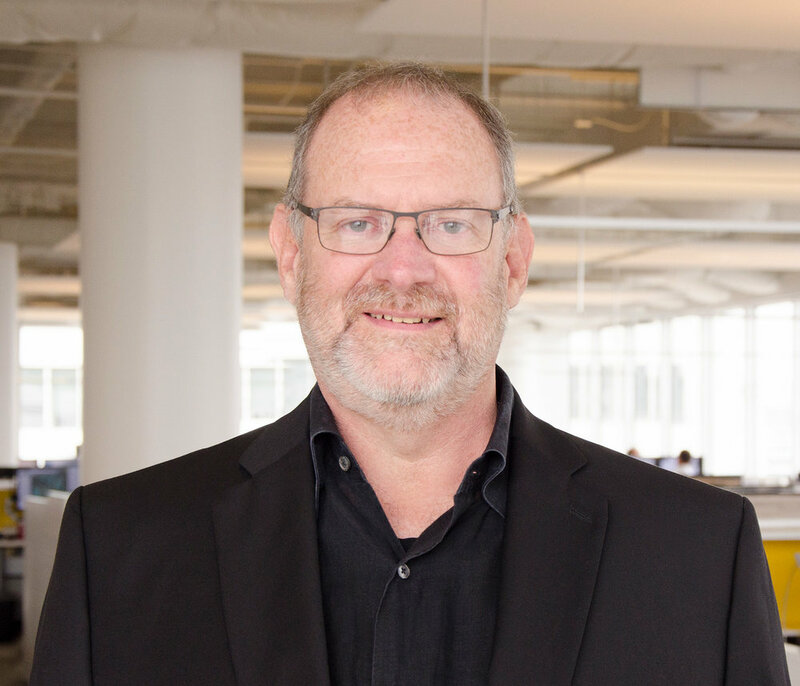 Wayne has served as Design Lead for a number of noteworthy and acclaimed projects including Invesco Aim, CITGO, ExxonMobil, Devon Energy, ConocoPhillips and Schlumberger. As the former Design Director at PDR, he was responsible for advising clients and in-house teams on the architectural planning, furnishings, lighting and finishes of numerous projects. He was also on the PDR Board of Directors with stewardship responsibilities for the firm. Now as Principal Emeritus, Wayne remains a Lead Designer at PDR, focusing his efforts only in that role. He is involved as a Designer on important, select assignments where he can contribute in a meaningful way to the success of those projects. Thanks to over 35 years of experience and his skills as a seasoned Designer, he clearly understands projects from the client’s perspective, advocating the importance of balancing function, aesthetics, budget and schedule. In addition to his accomplishments in office design, Wayne is an award-winning Designer of commercial case goods, seating, conferencing and accessory products, providing him with invaluable insight into the evaluation of manufacturers, their organizations and their products. Wayne leverages that unique knowledge to help his clients make the best choices in furnishing their workplaces. Wayne is a Principal at PDR and is a member of the Industrial Design Society of America. He is also a Registered Interior Designer in Texas and graduated from University of Kentucky with a Bachelor of Environmental Design.